It looked really seriously as clouds of black smoke dominated Nizhny Novgorod's skyline. Thankfully, the fire is now extinguished and works should not suffer from any significant delays. Today the global media headlines depict what happened in Nizhny Novgorod, where just a month ago the roof cladding was completed. 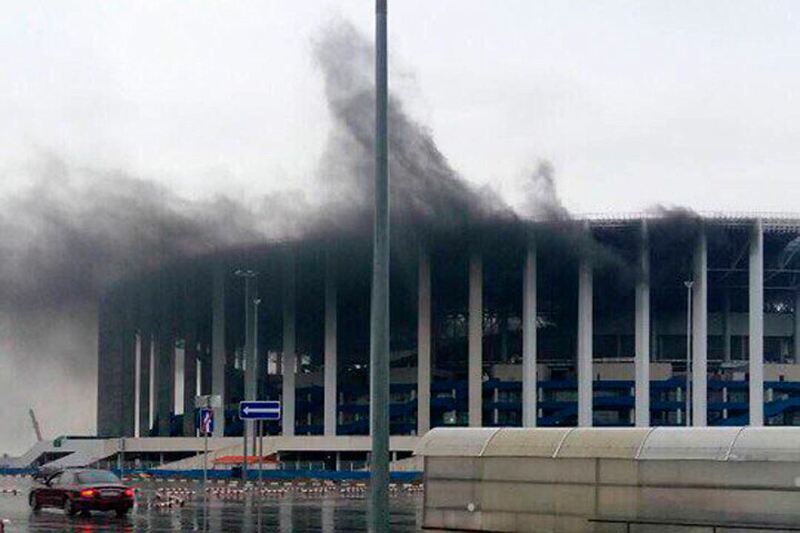 Now under that polycarbonate roof fire broke out, producing thick clouds of black smoke, similar to those at the national stadium in Moscow back in 2015. And just like in Moscow, according to current reporting, there was much more smoke than actual threat to the project or workers' lives. 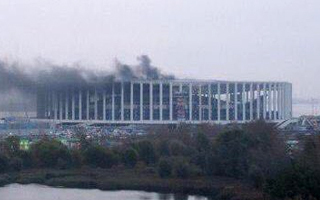 The fire erputed during welding at the top floor of the main grandstand, where comentators' rooms are located. Most likely it erupted in one of them as styrofoam caught fire. According to the general contractor Stroytransgaz, the situation began around 16:30 local time and led to no injuries or casualties. It's also not expected to impact the stadium's delivery, at present planned for late December.